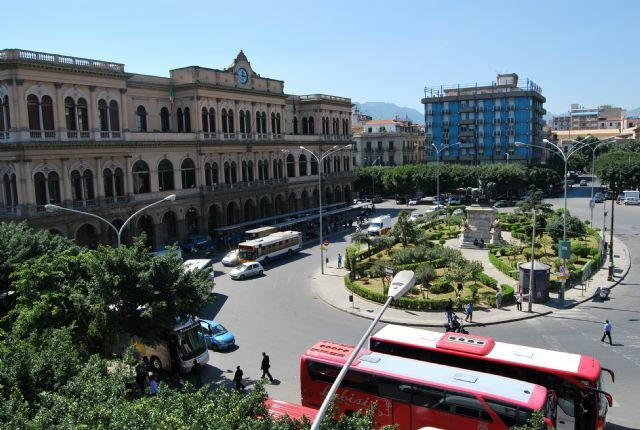 Palermo train station is situated on the Giulio Cesare square just in the middle of the city center. Every day through the train station pass around 250 trains. Palermo Central train station offers various trains, operated by Trenitalia. For example, in 2001 Trenitalia has started to use Trinacria express to connect Palermo airport with the Central Train station. The average journey time is just 45 minutes. The price is 5,80 EUR. The first train leaves at 5 in the morning, the last one at – 22. It is possible to buy tickets on the official website of Trentitalia, in the ticket offices or at the travel agencies. What is more, there is a small metro operated by Trentitalia. There are 3 lines: LINE A: Palermo Central train Station – Airport, LINE B: Notarbartolo-Giachery (only from Monday to Saturday) and line C: Palermo Central train Station -Termini Imerese. Tickets cost 1,50 EUR. Please note that tickets for buses of AMAT company are not valid for the metro. Close to the train station, is situated the bus stop for AMAT buses. A ticket costs 1,40€. Please note that in Palermo buses often arrive late. There is also a bus for Palermo airport. The bus company Prestia e Comandè offers such connections every day. Average journey time is 50 minutes. One way tickets cost € 6,30 (€11 – two ways tickets). Buses operate from 4 a.m. till the midnight. Buses operate every day including holidays. 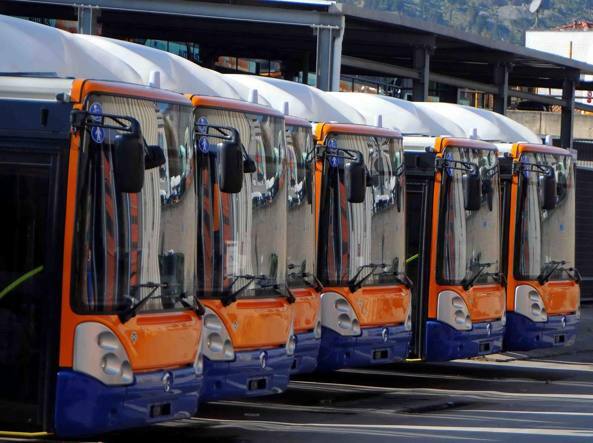 It is possible to buy tickets on the bus, in the ticket offices or on-line on the official website of the company.